We’re DJs – we love music above all else. The only thing that may probably rival our passion for music is our passion for gear (trimming your gear collection is another article altogether…) so it’s no surprise that we’ve got tons of music. If you’re an *ahem* older DJ, you probably obsessed about storing your vinyl, cassettes and CDs, which took up more space in your room than it should (or so your then-girlfriend said). With digital, that all changed. 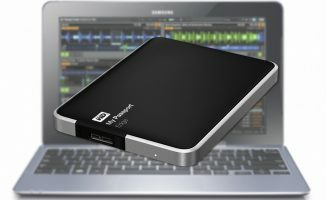 You no longer need a huge space or budget to house an impressive collection of DJ music – it can all fit on your laptop, or even on something as tiny as a thumb drive. Today’s high-speed internet connections can even download you enough music for a lifetime of DJing in single afternoon. These modern conveniences, however, do come with new problems. How many times have you encountered tracks in your hard drive that you couldn’t remember why you had them in the first place? Or what about when you do a song search, and multiple copies of the same song exist on your drive, but with slightly different tags (album art, album names for instance)? 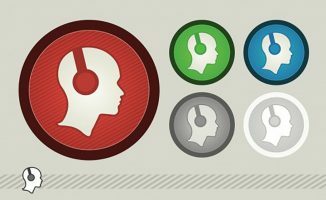 In small doses, these are tolerable – if you’re just starting out DJing and have a few hundred songs in your hard drive, you may be able to skirt around these minor annoyances to get to the song that you’re looking for, but what if you’ve got a bigger library of tunes, say upwards of a thousand, and your once-pruned collection is starting to look like an overgrown lawn? The funny thing with today’s digital music libraries is that this is bound to happen at one point – getting music is just so easy in the internet age, and with hard drives getting bigger and cheaper all the time, it’s easy to think of our collections as a bottomless pit of tunes that we can just keep adding onto. Common sense would dictate adding to your collection, not taking away from it, is the way to go – after all, why not store everything when it virtually costs next to zero per song? That’s the tough question, and is one of the big reasons why we really don’t spend more time pruning our libraries. We have enough space, so why not have all of them? But the important question to ask yourself here is are you really working with a music collection that accurately reflects who you are as a DJ today, as opposed to who you were when you first started? This is the jump off point for our training series on decluttering, and in today’s article I’m going to introduce you to the KonMari method that could be just what you need to get rid of the bloat and get your library in shape. A few years ago, a “tidiness guru” from Japan made waves Stateside. 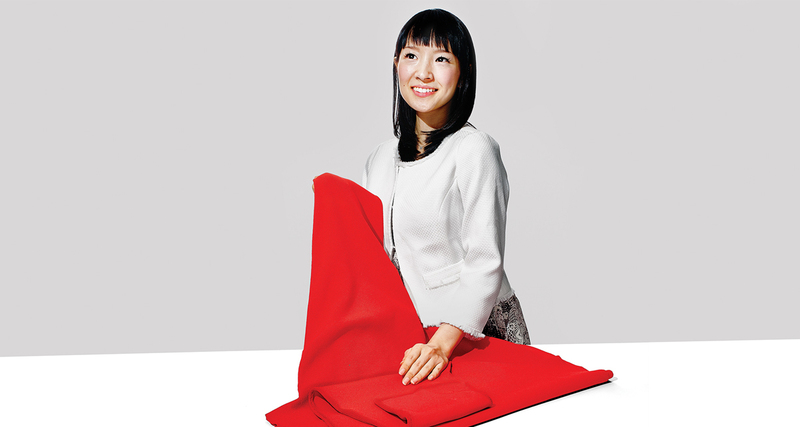 Her name is Marie Kondo, and her book The Magic Of Tidying Up was a big hit with consumer-obsessed America, and it all relied on the simple concept of only surrounding yourself with things that you love. 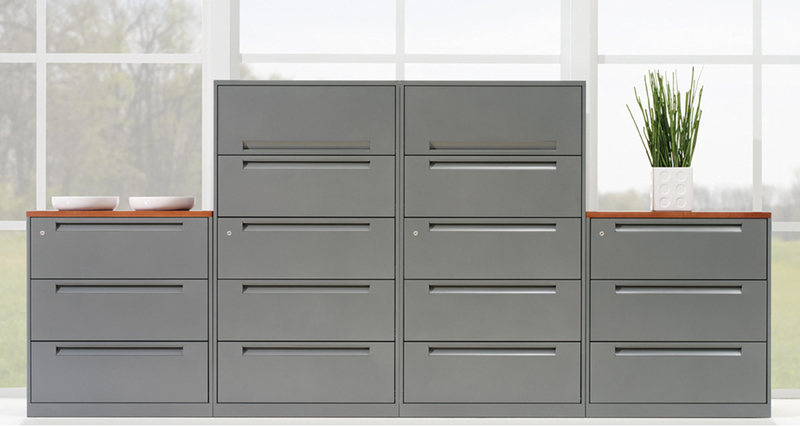 This meant discarding items from your home and office that no longer “spark joy”, and led to a tidiness revolution (the book became a New York Times bestseller with two million copies sold). The method was dubbed KonMari. It’s easy to think of this system as a “discard everything and live minimalist in solitude” sort of thing, but it’s not. The intention is not to make you live with less (although that is a byproduct of the method), but rather to live with more of what you love around you – the things that have meaning. In part one of our series, we’ll implement the KonMari method to remove songs in your library that you don’t immediately need or enjoy, and if you’re like most DJs, I’m sure you’ve got a lot of them lurking in your hard drive. 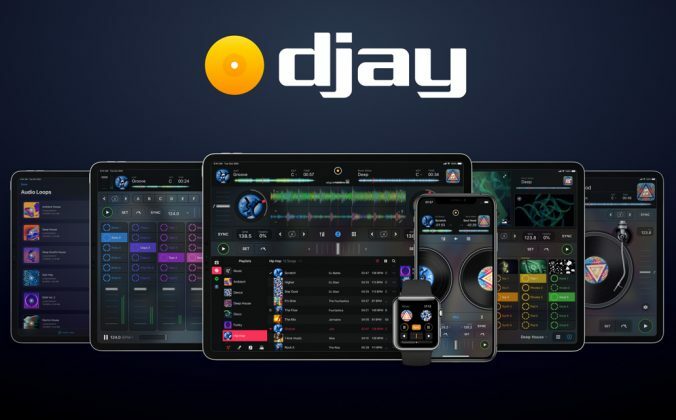 You are what you DJ – it plays a central role in your identity, so you keeping your library accurate and representative of who you are is important. 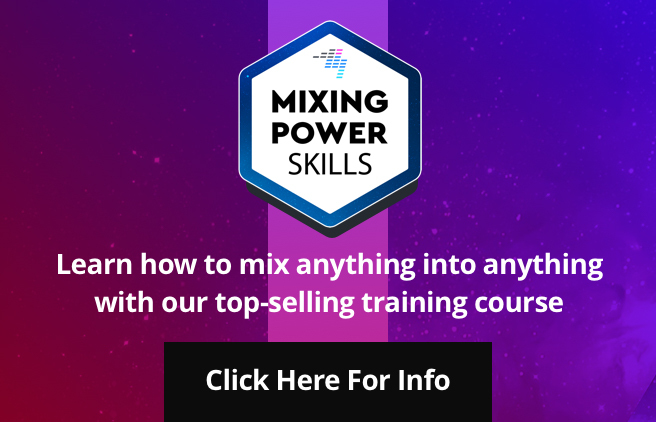 But apart from just weeding out those songs, I’ll also teach you how to segregate songs that you don’t need right now, but usually need for certain events (weddings, debuts, birthdays and so on), which you can file for sorting later on. 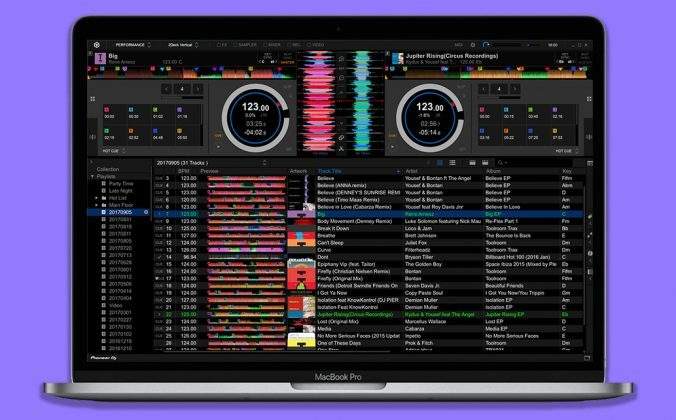 Filing is a crucial step in keeping your DJ library trim, while still giving you access to these “seasonal” use songs when you need them, and for that we’ll be implementing a different system (more on that in Part 2 of this series). 1. Does it “spark joy”? Always listen to it one last time before you decide whether or not you like it. 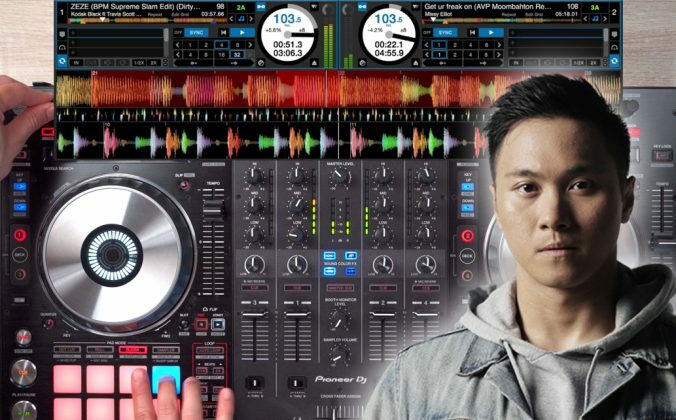 This is an important step – our DJing tastes and style evolve as we go through changes, so you’re basically reassessing who you are as a DJ and where you stand right now in your artistic growth by doing this. If you don’t like it, delete it immediately. 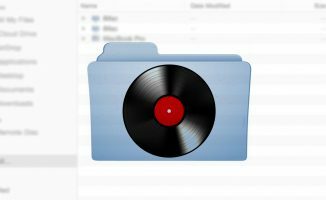 In practice: Begin with a folder in your DJ library (if you’re not using iTunes), or start in one of your playlists in iTunes. Comb through the tunes and if you see one that you’re sure you don’t enjoy and haven’t played at all (except that one time when a cute girl requested it five years ago), delete it immediately, not just from the playlist but from your collection. If you’re not sure whether or not you like a song, have a look at its play count in iTunes or in your DJ software to help you decide just how important it is to your collection. If it isn’t important, chuck it. Tossing the songs you don’t like is easy, but what about the ones that you aren’t sure about? 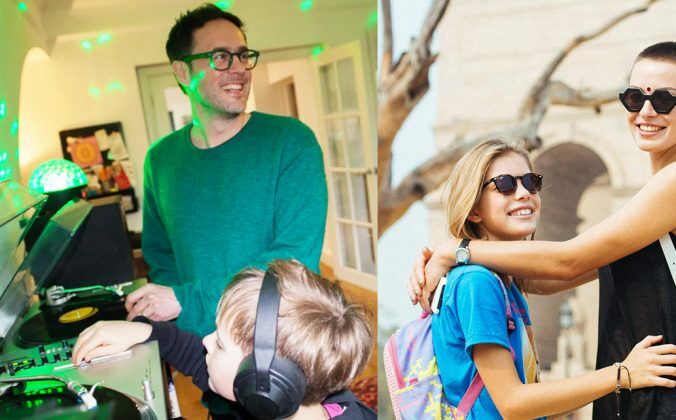 Or what about songs that you need for special events and occasions (Auld Lang Syne for NYE, David Guetta for your son’s upcoming fifth birthday party)? This is where segregating them for later filing becomes essential. Basically, we’ll be making several “boxes” on our computer where we can place these songs that we aren’t sure about yet, or songs that we’re sure we’ll use but only on rare occasions. We’ll then keep those boxes separate from our DJ music library, allowing us to trim the fat in our main DJ collection for quicker browsing and less clutter. 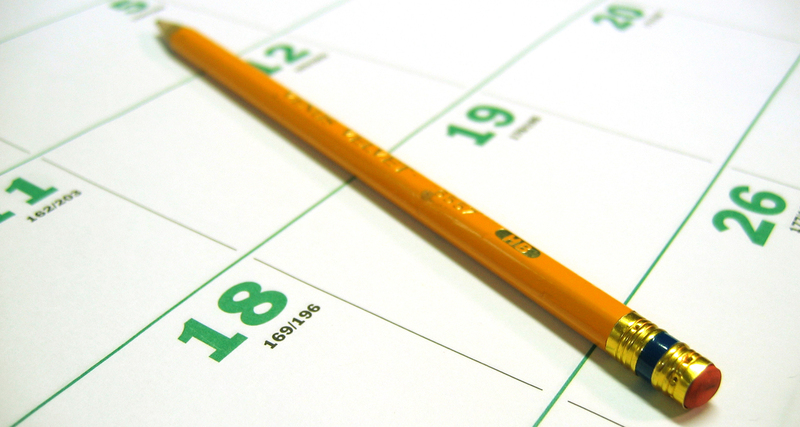 In practice: Create a folder on your desktop hard drive and name it EVENTS INBOX. If you’re using iTunes, make a playlist with the name EVENTS INBOX. When you go through your folder, drag the songs that you’ll be using for special occasions here, making sure that they leave your DJ library folder and transfer onto the inbox. If you’re using iTunes, you can simply drag the songs onto the inbox playlist. Again, be sure to listen to each and every song that you go through this way just to be sure and to check with yourself whether or not you still want it. Create another folder called UNSURE INBOX, which will be composed of songs that you don’t feel strongly about using. When you comb through your library, drag those songs you feel half-hearted about here. Feel free to create other inboxes for music that you feel you could play at some point in the year (holidays, festivals, the odd pub gig). We’ll further sort these big inboxes into smaller ones in part two of this guide. What’s important is you’ve segregated these songs from your main DJ library. Once you’ve transferred them to these inbox file folders, you’ve got to take them out of your main DJ library. This way, they don’t show up as search results within your DJ software or iTunes and browsing through your library will be quicker because they’re out of the way, even though they still exist in your hard drive. In practice: If you’re just using Finder or Windows Explorer, the inbox folders you created will be in your desktop, so they’ve already been removed from your main DJ library. If you’re using iTunes to organise your library, first create a folder on your hard drive with the same name as the iTunes playlists you’ve made for all the inboxes (EVENTS INBOX, for example), and highlight all the songs in that iTunes playlist and drag them on over to the inbox folder on your hard drive. Once you’ve copied the songs from all your inbox playlists in iTunes over to all the inbox folders on your hard drive, you can then delete the songs from the inbox playlists in iTunes by highlighting all the songs in the inbox playlist and then hitting “Option + Delete” if you’re on a Mac, or “Shift + Delete” if you’re on a PC. 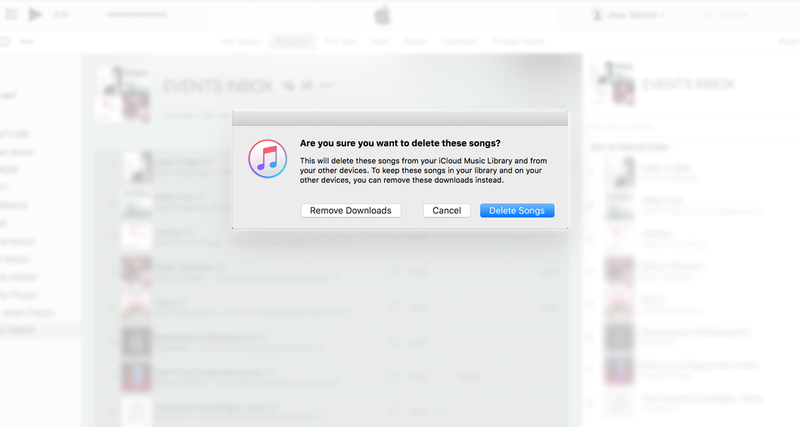 Doing this will remove the songs from your iTunes library, but you’ll still have the songs stored in the inbox folders you’ve made on your hard drive. 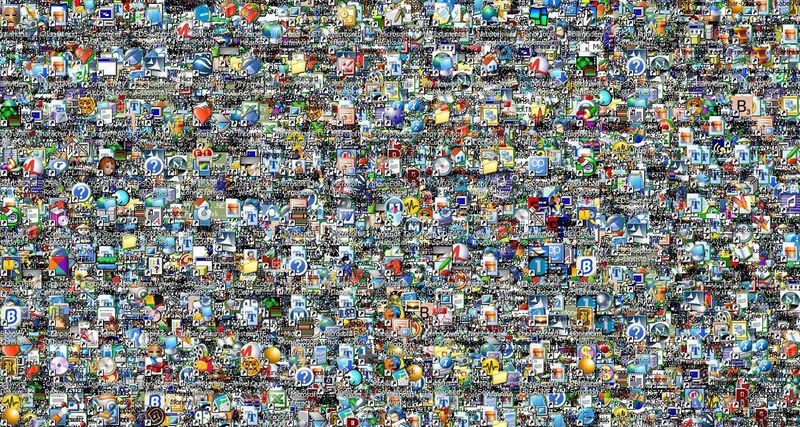 KonMari suggests doing your tidying room by room (or for us DJs, folder by folder), all in one go, and make it a big event akin to a celebration rivalling the Second Coming. That’s often easier to do with a handful of items, not a huge music library in the thousands! In practice: Because of the nature of digital, we recommend starting small – just a folder or playlist or two in your library today, which for some can already be overwhelming, and then setting a calendar item either on the weekend or when you aren’t busy to continue going through your tracks. Weeding out tracks that you don’t enjoy or no longer serve a purpose is the first step to decluttering your DJ music library. You may find that you’re removing a lot of tracks here (not a bad thing! ), but the more that you delete or segregate / remove from your DJ library, the more you’ll begin to realise that all the tracks you have immediately accessible to you when you’re DJing are tracks that you truly care about. 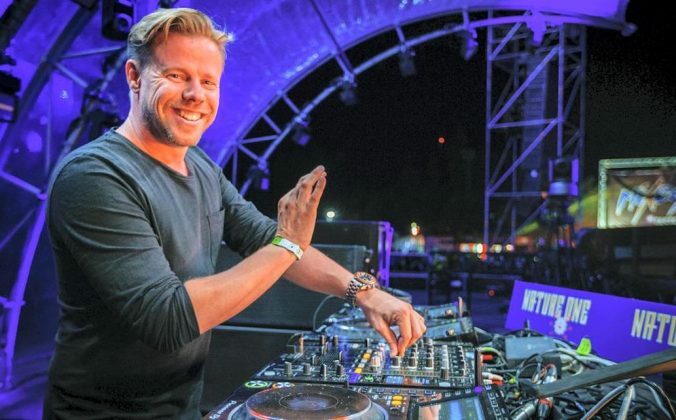 Tidying isn’t just about discarding music – as we’ve said, it also helps you reconnect with who you have become as a DJ, and that will be even made more evident with your newly trimmed library of DJ tunes. 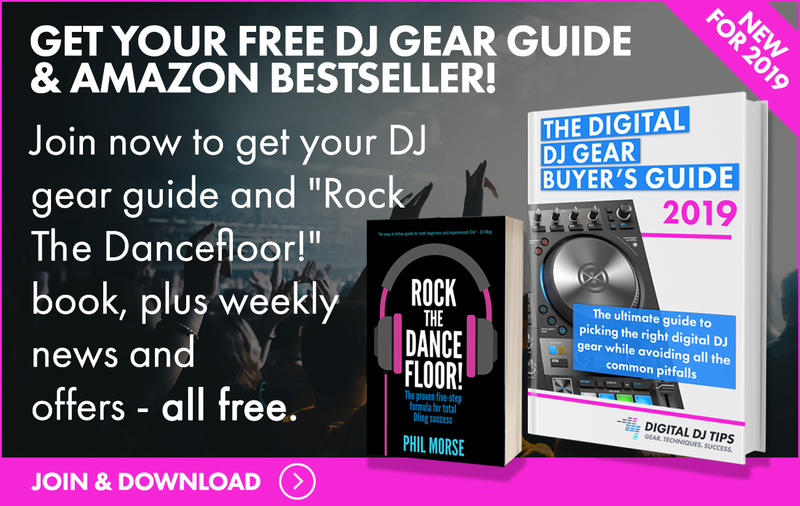 Think of it as going through the process of fine-tuning your relationship with music by only being surrounded by songs that you really love – in the end, all DJing is about the music. How do you prune your DJ library? Is there a specific method you implement to keep music that you don’t immediately need, but want access to later on? Or do you think pruning is a non-issue in today’s terabyte-sized digital storage media? Let us know below. Hey Gabriel, that’s a great workaround for sorting/deleting, nice one 🙂 I tested deleting directly from a playlist to make sure – I think the key thing is hitting Option + Delete if you’re on a Mac, or Shift + Delete on a PC, doing so results in the “remove from library?” dialog box (not just the playlist, as hitting just the delete button would do). Hope that helps simplify it a bit! Another way to look at the number of songs we need is to see how long we plan to play them for. If you leave 3 minutes per song and 20 songs per hour, even a 5 hour gig would need only a 100 of the best songs you have. Each song bought has an ‘opportunity cost’. – which great song am I not going to play because I want to play this song? Having time specific play lists really help. Recently I bought 75 songs for a 2 hour 70’s music session and learnt the hard way! Lauren: Yes, great suggestion about keeping the best parts of the “maybe” tracks. I do that for production use as well as for DJing. The current crop of DJ software makes it easy and fun to incorporate loops into our sets, along with full tracks. Great article, I would add one thing I figured out. Since I use Windows Explorer to manage my files, I bought a copy of Audio Dedupe and it has proven to be helpful tool for finding duplicate filenames that I can then delete. 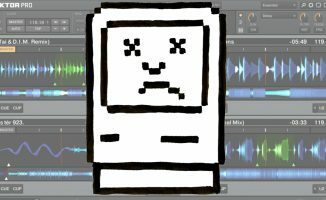 I built up and curated my digital dj library over the course of 3 years and last year I decided I needed to isolate and delete the redundant files I ended up with over that time, often because I found lossless sources for songs that were previously mp3 copies or updated m4a’s from iTunes match. I keep a fairly well curated DJ collection in iTunes, but I also have a lot of random stuff on my hard drive that i’ve removed from my DJing collection, but still kept on my laptop. ….it’s there, just in case i need it! Just because a track is on your hard drive, doesn’t mean it has to be in your DJing collection. Hi Joey, thanks for publishing this article. It’s help me realize how much dead music I needed to clear out of my huge library. After been in the DJ business for over 30 years this method made it easy to think about what songs I really loved and those that needed to go. I was able to free up one terabyte off my 3 terabyte drive. Now I have 5 folders, Hot House, Hot Latin, Freestyle folder with sub folders by year & bpm, Hot Urban, and Hot Remixed tracks. Not to shabby, great article. I loved this article and I’m looking forward to future installments. A while ago, I spit the music on my DJ laptop into two libraries: DJ and Non-DJ. The point was to keep DJ mixes, in-progress edits, new music, etc. out of my DJ collection, but I never made the jump to throwing old, “dead”, tracks in there as well! BTW I use Musicbee, which supports multiple libraries, to manage my music files, so it will automate the INBOX folder process described here, as the Non-DJ library is in a place where Traktor will not look for music. Am new to all this and am loving it and learning great stuff here. I love my music but the ones I don’t listen to often I have to do something about them.